Fruit-flavoured soft drinks off the shelf generally contain a lot of sugar, caffeine, or harmful coloring and additives. Such ingredients are bad for your health, and if you care about your body, you should avoid these types of drinks. There are many refreshing and healthy drinks which anyone can simply make at home. It is a lot of fun, and you know just exactly which ingredients they contain. Blend all ingredients with a hand blender. Squeeze out the ginger juice using a garlic press, and mix this with the remaining ingredients in a glass. Blend the ingredients with a hand blender, and dilute to taste with water. You can conjure up wonderful recipes with a good blender. Sugar-free and healthy drinks are simply good for your well-being and for your figure! 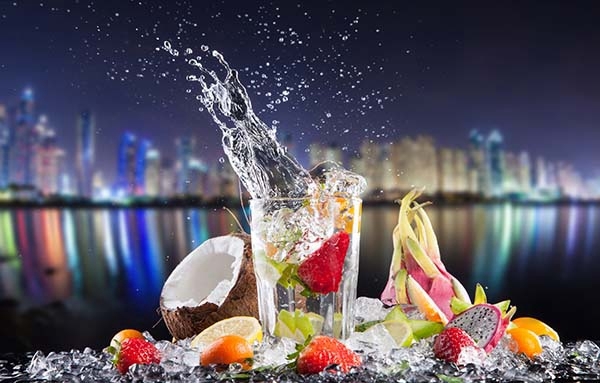 So enjoy the summer with these ice-cold drinks and share them with your friends to try them out!